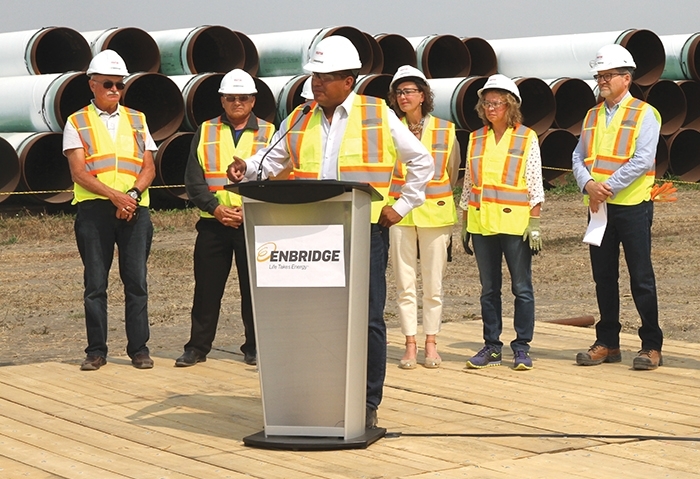 Chief Evan Taypotat of the Kahkewistahaw First Nation speaks to media at the kickoff to construction of the Enbridge Line 3 Replacement project in Saskatchewan for 2018 recently. With a recent dispute with Saudi Arabia, which supplies 10 per cent of Canadian oil imports, talk of another pipeline, Energy East, is being revived. Vredenburg related the situation to consumers’ aversion to “blood diamonds”—minerals procured through rebel or security-force activity in parts of Africa that may perpetrate human-rights abuses.